The Bestselling Author™ provides resources and coaching to help writers discover how to become a bestselling author. We support writers of all book genres (fiction, nonfiction, and children’s books) at all stages of development, around the world. Not every author can make the NY Times bestseller list, but every author wants (and deserves) to reach as many people as possible. That’s why we encourage authors to get the support they need to secure a top literary agent, publisher, and book deal. That’s our specialty. * The Ask a Question area of our website where you can ask anything about writing, publishing, or marketing your books* Live broadcasts (and audio replays) of our Radio Show with special guests publishing industry executives and bestselling authors such as Mary Higgins Clark, Nelson DeMille, and Diana Gabaldon. My name is Mark Malatesta and I’m the founder of The Bestselling Author™. I am a former literary agent, former AAR member, and former Marketing & Licensing manager for a well-known publisher. Today, I’m an author coach–and the main reason I started working in the publishing industry was to find out how to get my own books published. That’s why I know what you’re going through as an author. And, now, I also know what you need to do to become a bestselling author. My authors have gotten 6-figure book deals with major publishers like Random House, Penguin Books, Simon & Schuster, Scholastic, and Thomas Nelson. They’ve been on bestseller lists such as the NY Times and USA Today; had their work picked up for TV, stage, and feature film (with companies like Paramount Pictures and DreamWorks); won countless awards; and had their work licensed in more than 40 countries… resulting in millions of books sold. Click here to see Mark Malatesta Reviews and click here to see General Reviews about The Bestselling Author™. Simply enter your first name and email address above to be come a member of The Bestselling Author™. We’ll send you some things so you can get started. We make it easy to find what’s important to you. We’ll never share your email address with anyone, and we’ll only send you information relevant to what you signed up for. If you do decide to leave us one day, we make that easy, too. All you have to do is click on the link at the very bottom of any email you get from us and you’ll be able to unsubscribe instantly. “I like that The Bestselling Author™ actually provides real content! I’m sick of Internet Marketers who recycle information from other marketers, providing nothing of substance. With you, I usually get one or two tips that, if nothing else, remind me of what I should be doing. “The Bestselling Author™ audio library with your signature presentation about how to get a top literary agent was the best gift I’ve encountered in a long time. It woke me up to the notion that getting a literary agent and getting published by a traditional publisher such as Random House isn’t luck—it’s a decision. Within seconds of hearing that, I decided to start sending out queries for my book. Now I already have 5 top literary agents who’ve requested my complete manuscript or sample chapters! Your mp3 at The Bestselling Author™ also shared powerful stories and insights that helped me position myself in a better way. I would have overlooked potential credentials, information, credibility, credence, background, and interesting elements about myself. I didn’t feel they mattered or measured up on paper. Anyone who listens to your mp3 should thank his or her lucky stars for that alone. You also expressed the truism that agents are real people—human. They didn’t get a degree to become an agent, and we shouldn’t be intimidated if they exercise their patriotic freedom to use their ego. Hearing that was helpful because it can be very daunting trying to get a literary agent, and it’s easy to view their responses as personal. It’s never too early for an author to open the front door to your online audio library and listen. Smart authors will pay attention and feel lucky to have a dream team partner like you who is knowledgeable but also warm and caring. Although you don’t know most of us personally, you keep encouraging us and sharing your valuable information and insight. So often in life we say, ‘I can’t take it anymore. I can’t handle this. 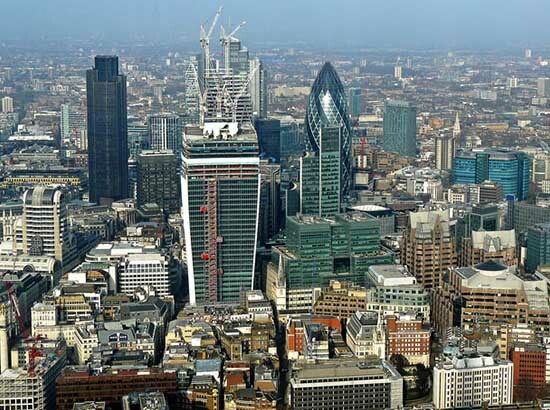 It’s too much.’ But as soon as you say you can’t get a literary agent, then you can’t. And as soon as you make a decision that you can get a literary agent, you can. Everything is a decision for me now. Yes or no, but I decide. I don’t just wait, I decide. I don’t just wish, I decide. Your MP3 at The Bestselling Author™ catapulted me into a different stratosphere of how I approach my publishing goals, and everything else in my life—finances, romance, and daily living—because everything is a decision. You woke me up, reinvigorated me, and changed me. And things are actually happening. Well, what are you waiting for? Tens of thousands of authors are already part of our community. Scroll above now and enter your info to join The Bestselling Author™ and find out what you’ve been missing. 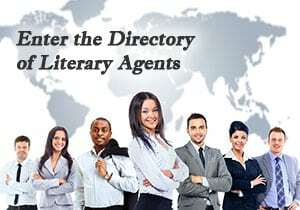 Get free access to the Directory of Literary Agents with detailed agent listings and get a traditional publisher. When you enter the directory you’ll also get free access to our article and audio library with additional information to help you get a top literary agent, publisher, and book deal. You can unsubscribe easily at any time – we don’t spam.